There are many great ways to see Lisbon, the lively Portuguese capital built on seven hills, but there is one that is particularly luxurious. The Myriad by SANA Hotel, Lisbon packages provide a range of wonderfully luxurious options. 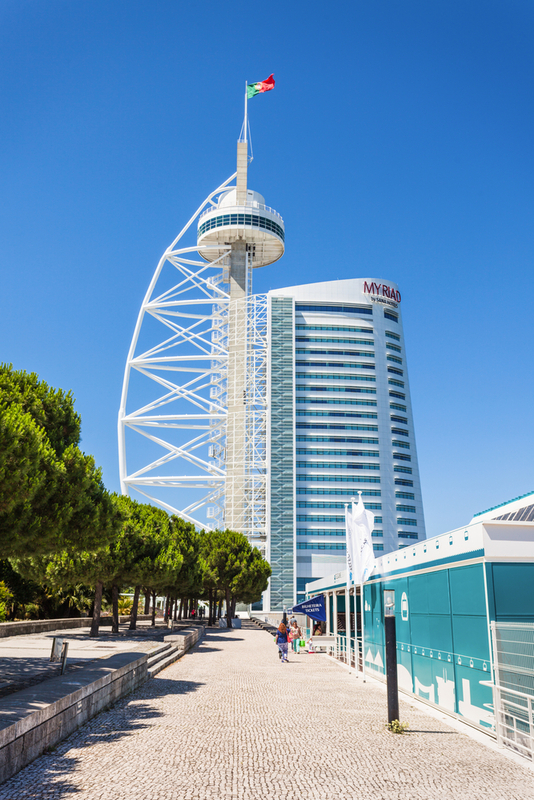 Of the 186 rooms at the hotel, there are 150 Deluxe packages, with between 25 and 30 square metres of space, all overlooking the river and Parque das Nacoes. They include a workspace and desk, an espresso coffee machine and a mini bar. The rooms come with a choice of double or twin beds, as well as the options of a whirlpool bath or hydromassage shower. There are also 25 Premium rooms, the next step up. These all have a double bed and both a whirlpool bath and hydromassage shower. They have even better views over the river and Parque das Nacoes and are between 30 and 37 sq m in space. With an espresso machine and minibar, two telephones, a digital safe suitable for a laptop, a 37-inch LCD TV and free wireless internet, this will be a place of exceptional comfort. Even better still are the suites, of which there are nine. These measure a cavernous 55-59 sq m and offer a wonderful panorama over the Tagus. Each room comes with a double bed, whirlpool bath and hydromassage shower and a separate lounge, as well as the multimedia features seen in the other rooms, like the large TV, espresso machine, mini bar and work area. These exceptional rooms all offer the prospect of a dreamy stay – and they are just part of what packages in this great hotel offer. For example, there is the Satyanna Wellness suite, with its personalised luxury service and ‘health through water’ philosophy. This means that as well as a massage and spa treatments, guests can also enjoy Turkish baths, a hammam shower, flotation tank or indoor pool with whirlpool areas. Add to this the fine restaurants and superb setting in the heart of the city, and there can be no doubt this great hotel offers some truly exceptional packages.